Happy more traveling in 2017!! Here’s wishing you a very happy and prosperous New Year from the entire team at Rajasthan Tourism Buzz. May 2017 bring you the best holidays you have ever had. We had a fantastic 2016, thanks to the wonderful readers like YOU ! You are going to read a lot of exciting news and blogs on this site in the coming few weeks. Several cultural festivals in 2017 are round the corner and this year is again full of celebrations and events in Rajasthan. So stay tuned to Rajasthan Tourism Buzz as we continue to bring you the latest and greatest information from the world of travel and tourism in Rajasthan. 2016 saw us reporting latest tourism updates from all over Rajasthan and bringing you up to Rajasthan cultural event updates and many exclusives ! We hope you stick with us as we strive to continue the trend into the next year as well! Have an Excellent Year Ahead! The Pink City of Jaipur is all gearing up for the one of its kind theater festival, Rang Rajasthan! The unique festival showcases plays, folk performances and celebrity talk shows, drenched in the colors of Rajasthan. Our parent company Pathfynder’s venture Jaipur beat is the Digital partner for the Rang Rajasthan. Rang Rajasthan is a Rajasthan Language Based Theatre Festival which is showcasing a beautiful and interesting array of plays, Rajasthan people exhibitions, International Theatre, Celebrity Seminars, Art Competition and numerous more things. It gives a stage where neighbourhood theatre actors and Folk specialists work with internationally & broadly acclaimed executive and witnesses the works. The Nagaur Festival- 01-04 January 2017 is an attractive festival of cattle which is held every year in Nagaur district of Rajasthan. It is a joint venture between Dept of Animal Husbandry and Dept of Tourism, Govt of Rajasthan which is known to be the second largest cattle fair in India after the Pushkar Cattle Fair. The trading of cattle, bullocks, camels and horses etc. takes place here resulting in almost 78,000 exchanges each year. 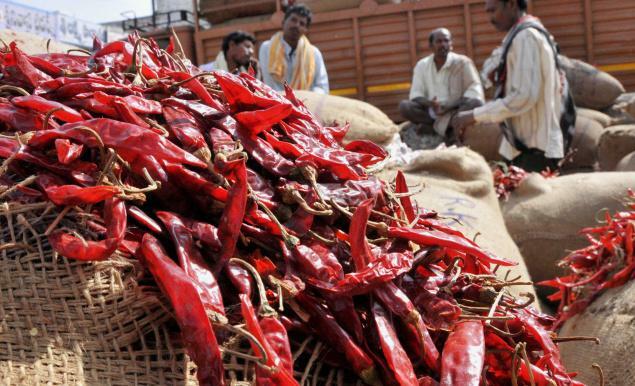 The famous and largest in India- Mirchi Bazaar is the highlight of this festival as it is believed that the best red pepper is traded during this fair. The display of handcrafted wooden items, iron crafts, headgears, fabrics and leather accessories plus the musical performances in the night are the reasons why tourists from around the world travel to this place. The ZEE Jaipur Literature Festival to be held from January 19th -23rd, 2017 announces the list of 10 speakers coming to Jaipur in January as part of its weekly campaign. Some of the Themes of ZEE JLF 2017 include Freedom to Dream: India @ 70, The Magna Carta, Translation and World Literature, Women and Marginalised Voices, Sanskrit, and Colonialism and the Legacy of the Raj. ZEE JLF offers an experience to mingle with authors, interact with industry players, relax in the Festival Delegate lounge and enjoy the live music concerts and Festival Fringe events. The Curtain Raiser of the event in Delhi gathered audiences to enjoy joyous musical performances, powerful dramatic readings and translated renditions at the Taj Mahal Hotel, New Delhi. Arshia Sattar, A.N.D. Haksar, and Roberto Calasso in Sanskrit. Writers in Hindi include Ajay Navaria, Anu Singh Choudhary, Manav Kaul, Mrinal Pande, Narendra Kohli and Yatindra Mishra. Linda Colley, award-winning historian, academic, author and broadcaster who specialises in post-1700 British history and author of Britons: Forging the Nation 1707-1837 and Acts of Union and Disunion. A beautiful feather has been added to Rajasthan tourism with the inauguration of wax museum and unveiling of the statue of Bollywood’s legendary actor Amitabh Bachchan. The Jaipur Wax Museum, which has wax sculptures of around 25 personalities, was opened on Saturday at the Nahargarh Fort, which overlooks the Pink City. Bollywood actor Govinda, who was accompanied by his wife Sunita Ahuja inaugurated the museum and unveiled the statue of mega star Amitabh Bachchan. Kudos to the makers and operating team at the museum that they could make it happen, because it is tough task to maintain the wax temperature as it might melt due to scorching heat in Rajasthan. Since the museum is open for all, people of the Pink City and tourists would get to see the sculpture of the famous celebrities, leaders, personalities from history and great warriors like Maharana Pratap and Sawai Jai Singh here. Travel more in 2017 with AirAsia’s low fare flights. It’s holiday time and the season of travel from places of work to home town for some and travel to holiday destinations for some others. The Air Asia and other domestic flight services in India have come up with excitingly low air fares for the travelers in New Year ! There are many flights to and from Jaipur that are covered in this New Year Sale by AirAsia. Have a look at these ridiculously low air fares and enjoy more traveling in 2017. The Budget carrier AirAsia India is selling all-inclusive tickets from Rs. 917 under its New Year Sale offer. The offer is open till January 1, 2017, and is applicable on travel between March 1, 2017, and October 31, 2017. The Rs. 917 fare is applicable on Bengaluru-Kochi, Bengaluru-Goa and Bengaluru-Hyderabad routes. The fares on New Delhi-Goa and New Delhi-Bengaluru routes start from Rs. 2,917 and Rs. 2,217. AirAsia India currently flies to 11 destinations with its two hubs in Bengaluru and New Delhi, covering Chandigarh, Jaipur, Guwahati, Imphal, Pune, Goa, Vizag, Kochi and Hyderabad. Under this offer, Bengaluru-Guwahati fares start from Rs. 2,217; Bengaluru-Chandigarh Rs. 2,917; Bengaluru-Jaipur Rs. 2,917, and Bengaluru-Visakhapatnam Rs. 1,417. Another budget carrier GoAir is offering tickets starting Rs. 1,057 on select sectors. The fares are applicable till December 31, GoAir said on its website. The Rs. 1,057 fare is applicable on the Delhi-Jaipur route. Delhi-Leh fares, under the GoAir offer, start from Rs. 2,889. 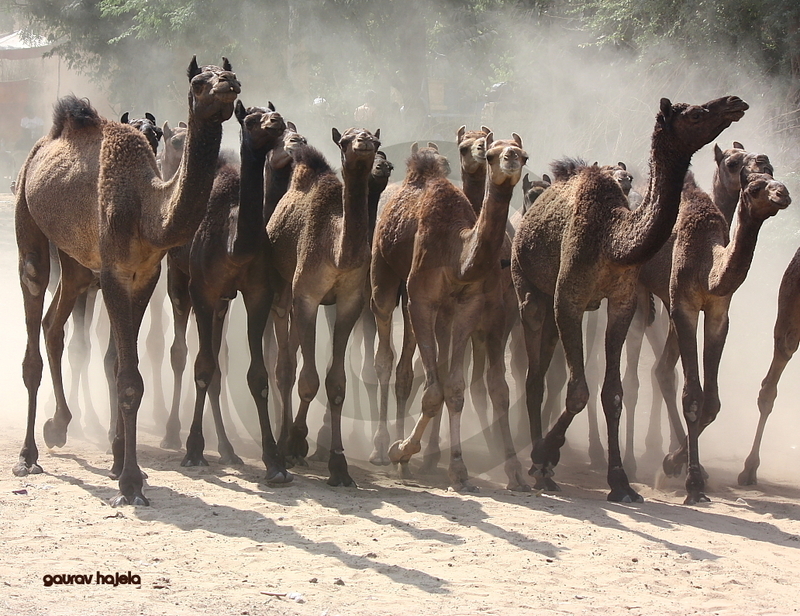 Rajasthan Tourism goes Mobile techie with the launch of an App for Ajmer Pushkar !! Rajasthan government goes mobile friendly and techie with the launch of a mobile App that provides latest information about tourist attractions in Ajmer and Pushkar with rich content including pictures, audio and video streams and cultural stories. The App is comprehensive and one-stop solution for tourism needs, a senior official said. More than 40 places of Ajmer and Pushkar have been covered in the App which instantly provides real-time and highly contextual content to the user. Tourists just need to download an app LeZgo which provides tourism content with multiple features and convenient utilities. Useful utilities, like free WiFi, weather information, language translator, forex converter, compass, cab booking, upgraded customs information for foreign visitors, SOS function are among other features of the App, which provides inputs in 12 prominent languages. After Ajmer, the App which is already catering to 1500 users, will be localised for Jaipur, Udaipur, Jodhpur, Pali and Bharatpur soon. The user can search for tourist destinations, get custom designed holiday packages, book a cab in a jiffy, check out the latest and upcoming events in the vicinity, listen along custom designed audio streams. Get an immerse experience of culture, history, languages, food, music, spirituality, sciences, wisdom, Yoga and wellness apart from all the essential information.